We take our mission seriously to “empower students to achieve their highest potential through Christ-centered educational excellence.” Because all of us are made in the image of God, our learners have infinite worth and amazing hearts, minds, and abilities; they have potential to be, understand, and do far more than they imagine. We empower them to see the world and themselves as they really are: beautiful and broken, glorious and messy; and we invite them to learn, grow, and ultimately participate in Christ’s work of restoring their humanity and the whole world. Amazing families from across the hill and across the world choose MVC. While they know they can get a high quality education at a variety of schools, they also know we offer something more -- something distinctive. In constant pursuit of Christ-centered educational excellence, MVC was the first in the world to put iPads in the classroom and is now widely recognized as an innovative leader in using tech to empower students. We also have an unusually life-giving environment; from the food we serve to the dynamic learning spaces, we stand out. Why will your family choose MVC? Come visit campus, and find out why. Jesus Christ is the Truth. All truth belongs to God, and we explore His amazing creation in order to explore His mind and character. In doing so, we learn to grow in our curiosity, awe, and wonder. We learn to become people who think better by asking great questions. Ultimately, we learn as an expression of worship -- to honor and enjoy God as the Giver of all wisdom and life, in whom all things hold together. “God saw all that He made, and it was very good.” Genesis 1:31. God’s crowning work in creation was making man and woman -- people designed in His very image. With this in mind, our learners create as a fundamental part of expressing who God is and has made them. We love it when they step back from what they have made and call it “good.” In doing so, they get to take part in God’s divine character and creative power. We play and compete to reach our highest potential both on and off the field. In sports, we have the opportunity to honor and worship the One who gives us our bodies, our strength, and our minds. God has designed us for great joy -- His and ours; and He is pleased when He sees us doing what He designed us to do. We find our greatest delight when we achieve our highest potential not for our own glory but for His. When your family comes to MVC, you are joining our family. We believe our Father unites and fills our hearts with a sincere love for one another in order to form an unusually deep community of care. Whether you are coming to MVC for the first time this year or you are a graduate from years ago, we have an enduring affection for you, and we love offering you ways to stay connected. The MVC Guidance Counseling Team offers my child exceptional service. They not only care for her academic success and college plans. I have seen them care for her whole well-being. FAFSA (Free Application for Federal Student Aid) is available now. Complete and submit the FAFSA to get your Expected Family Contribution (EFC). Submit no later than March 2 (check with individual colleges, some deadlines may be earlier) for financial aid eligibility. High School Students may make appointments with their Guidance Counselors at any time. All of them are available to guide students in preparing for the college or career path that they are interested in pursuing. Current seniors requesting transcripts for college applications can use their Naviance Student account. All other transcript requests can be completed by filling the Transcript Request Form. Naviance is a web-based college and career planning resource designed especially for MVC students and parents. Through Naviance, Student Services is able to track transcript requests and college application progress, submissions, and results. Naviance also allows us to analyze data regarding college and career plans, providing a useful tool for college planning and up-to-date information that is specific to MVC students. To access the Naviance Student portal, go to https://student.naviance.com/mvcs and follow the instructions on the screen to log in to your account. Get involved in the planning and advising process: Build a resume, complete on-line surveys, and manage timelines and deadlines for making decisions about colleges and careers. Research colleges: Compare GPA, standardized test scores, and other statistics to actual historical data from MVC students who have applied and been admitted in the past. Organize and track college applications and transcript and letter of recommendation requests. 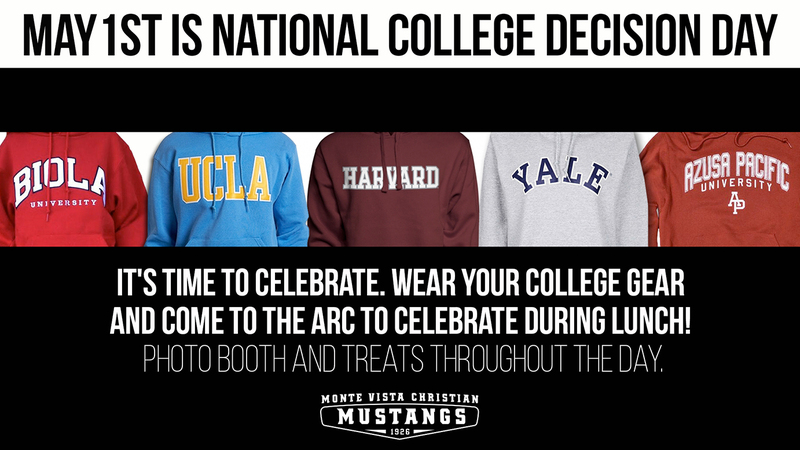 College visits: Find out which colleges are visiting MVC and have the opportunity to visit with Admissions Counselors. Search for scholarships: Use the national search database to look for scholarships. Naviance Student also makes it easy to share information about upcoming meetings and events and other web resources for college and career information. Students can also use the site to send their counselors and college admission representatives emails. *A student’s personal profile and data are confidential and are only accessible to the student, parents, and counselors. College admission offices do not have access to the information in Naviance Student. If you have any questions regarding AP courses or the AP exam please contact your Academic Advisor. CSF is a unique statewide organization, stimulating interest and fostering pride in high standards of scholarship, encouraging further education for highly qualified young people. Through its purpose and organization, the Federation contributes to the nationwide effort to identify, motivate, and encourage students with intellectual ability. Its emphasis upon service seeks to develop unselfish and creative use of these abilities. Community service, like other outside activities, plays a role in the college admissions process because it gives a window into the personality and interests of the applicant. Most colleges like to see long-term involvement in just a few activities with leadership roles in at least one of them. Don't forget to keep track of your all your contributions and turn them into your Academic Advisor in Student Services. Starting with the class of 2018 - Community service hours will not be a requirement for graduation. While Monte Vista will always desire for students to learn servant leadership, the plan is to integrate service into curriculum and provide many opportunities throughout the year. Many students already participate in community service projects with their church or an organization like Boy Scouts or Girl Scouts. If you're looking for other opportunities, feel free to contact one of these great organizations. Many of them work in multiple counties. If you know of an organization or a one-time event looking for volunteers, please contact your Academic Advisor so we can get the word out. See website for phone numbers of Salinas, South County, Watsonville, San Benito, and Monterey YMCA branches. The Teen Kitchen Project offers an excellent opportunity for growth & team building while developing valuable hands-on skills. This program is designed to enhance teens' knowledge of healthy cooking techniques and recipes, all while serving their community and developing valuable job skills. In addition to 24 volunteer hours, teens will receive a stipend at the end of the 6 weeks if they satisfy the requirements of the six-week job training program. Please see Teen Kitchen Project for more information. Santa Cruz Public Libraries has an extensive list of local youth volunteer opportunities. Volunteer Center of Santa Cruz County has many ongoing projects. Volunteer Match is a search engine for community service opportunities. We are excited to introduce a new program, Family Connection, a comprehensive website that you can use to practice for standardized tests, explore your individual strengths for career planning, explore and plan for your choice of colleges, and keep track of your college applications. Family Connection is linked with Naviance™, a program that we use in our office to track and analyze data about college and career plans, so it provides up-to-date information that is specific to our school. Most colleges accept the SAT or the ACT, so students do not need to take both exams. Keep in mind that many colleges and universities, including the UC schools, require the optional Writing section on the ACT. Students who plan to take only the ACT should sign up for the optional Writing section. CAL Grant: Oct. 1-March 2 - Turn form into Student Services. CSS /Financial Aid Profile: Seniors applying to private universities need to complete the on-line CSS Profile no later than November 1 for Early Decision and Early Action applications and no later than December 1 for Regular Decision applications. Check specific colleges for extended deadlines. The profile allows students to report their financial and family circumstance information in one streamlined application and submit it to all the colleges that require it for scholarship and grant consideration. Apply on-line at www.collegeboard.com. The fee is $25 for the PROFILE application and first college report and $16 for each subsequent college report.